Like the wild mountain goat, the GNU Billy Goat C3 Snowboard is right at home on nearly vertical mountain sides and navigates technical terrain with ease. Its stiff flex, directional twin shape and aggressive C3 rocker profile mean pure power and precision for hitting those gnarly lines everyone else only talks about. 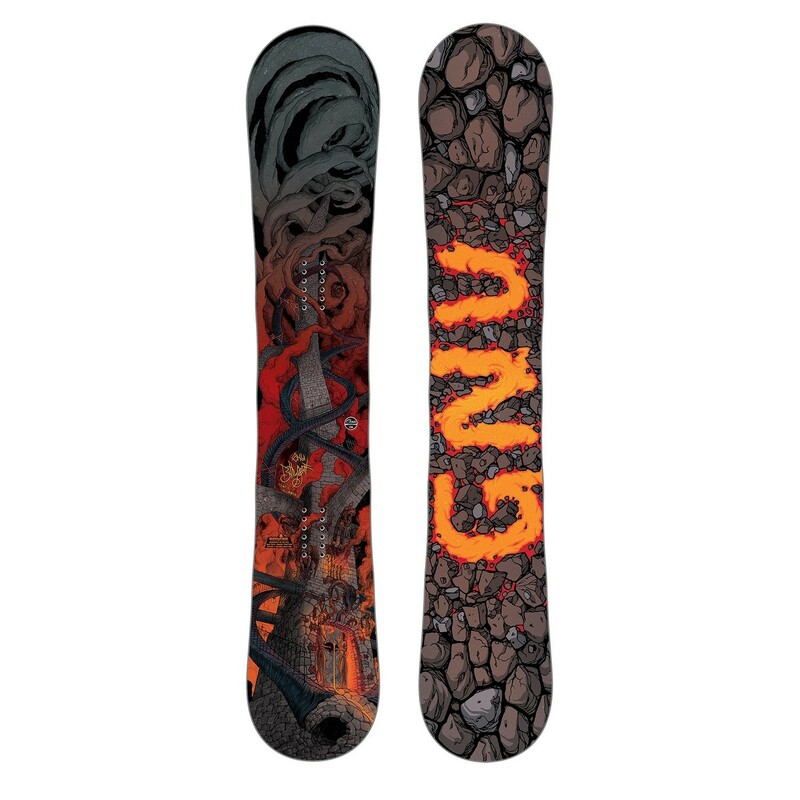 The GNU Billy Goat C3 Snowboard melds GNU's heaviest hitting tech to complete a package that isn't for the faint of heart. Just watch Temple Cummins, he designed it.